Funding for Measure D currently stands at $406,043 according to their financial disclosures so far. 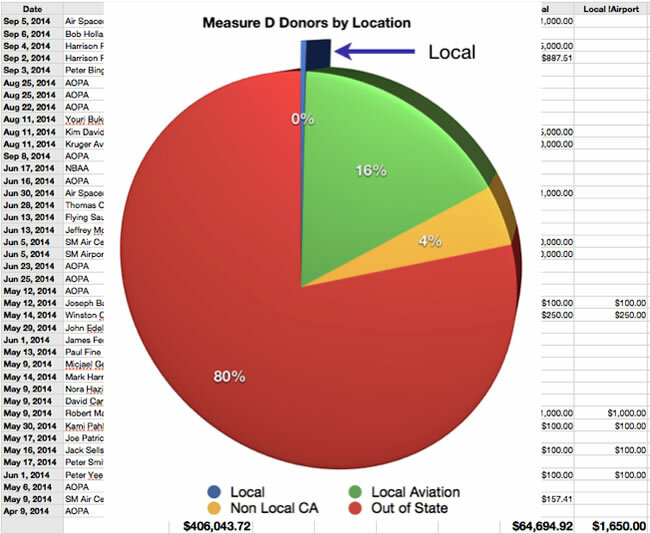 Of that amount, nearly 80 percent is from out of state (primarily from AOPA and NBAA), 15.5 percent is from aviation businesses and pilots, including the recent donation of $25,000 from Harrison Ford, and 4.3 percent comes from other parts of California. In total they have received just $1,650 from ordinary local residents, that is only 0.4 percent from local residents. 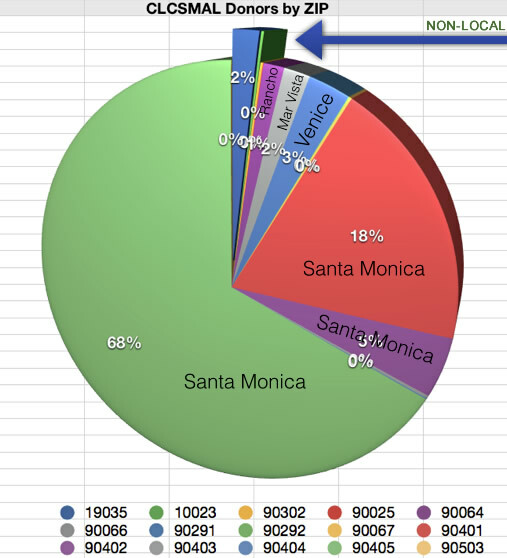 By contrast, 98 percent of CLCSMAL donations are from Santa Monica and surrounding ZIP codes, the remaining 2 percent was from a couple of local residents that recently moved out of state.